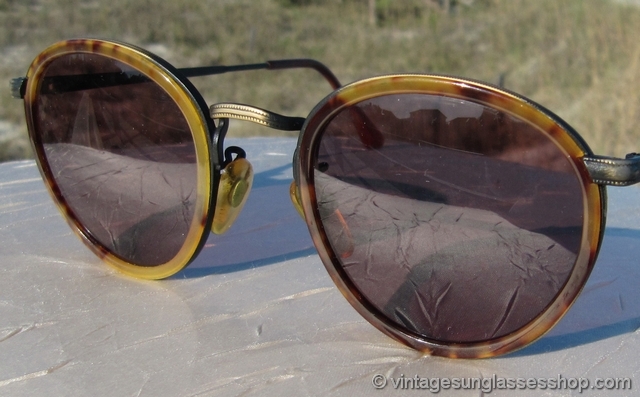 Vintage Giorgio Armani 101 741 sunglasses eature a beautiful yellow tortoise shell frame and Armani mineral glass lenses for one of the most elegant and stylish sunglass models every produced by Armani. 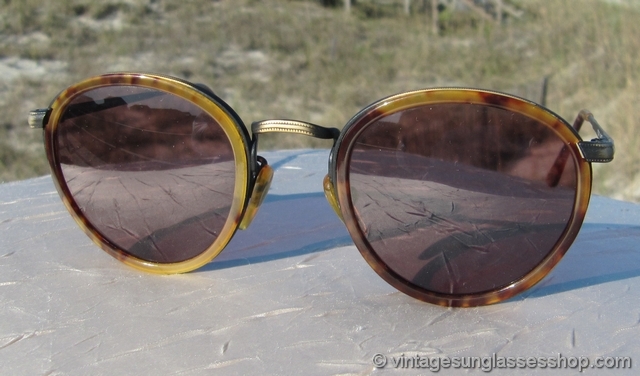 The round yellow tortoise frames are classic Armani, and note the detail of the alternating dark and light bands feathered together going down each of the brushed metal ear stems down to the yellow tortoise ear pads. 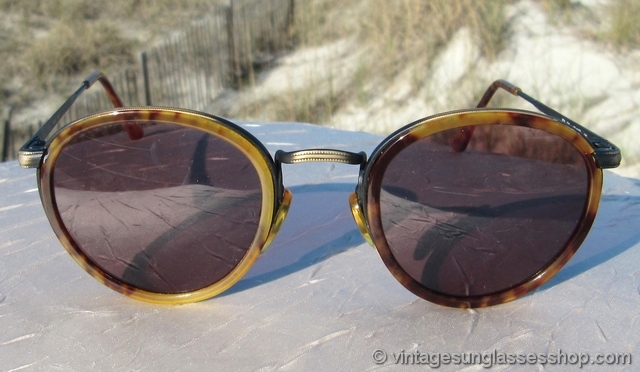 The unisex Italian Armani 101 frame measures approximately 5.0" temple to temple with lenses measuring approximately 1.75" x 1.5" at the widest points. 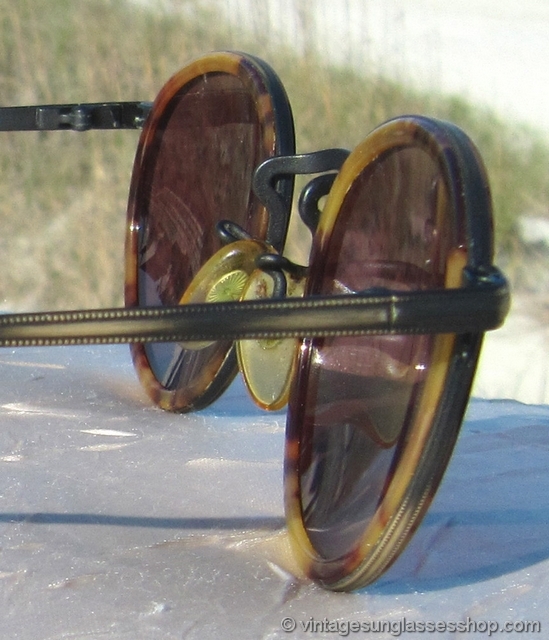 The top metal bands surrounding the lenses are all etched for some additional design flair, and when you put it all together it's just a very unique look in vintage sunglasses design - and very Italian. 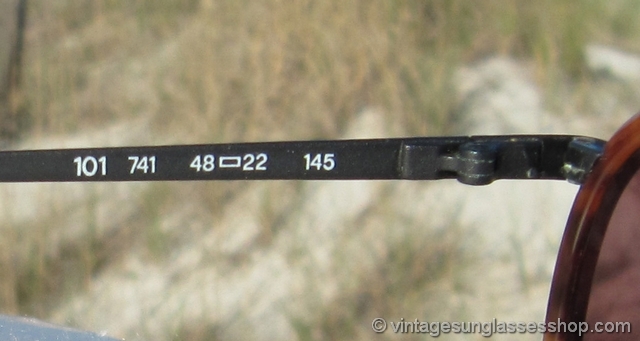 The inside of one ear stem is marked Giorgio Armani Frame Italy while the inside of the other stem is marked 101 741 48  22 145 and the lenses are laser etched GA near the hinges. 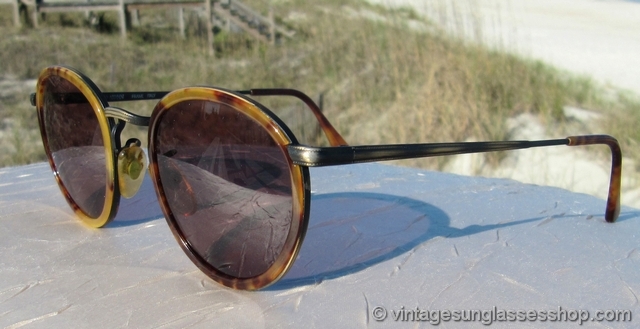 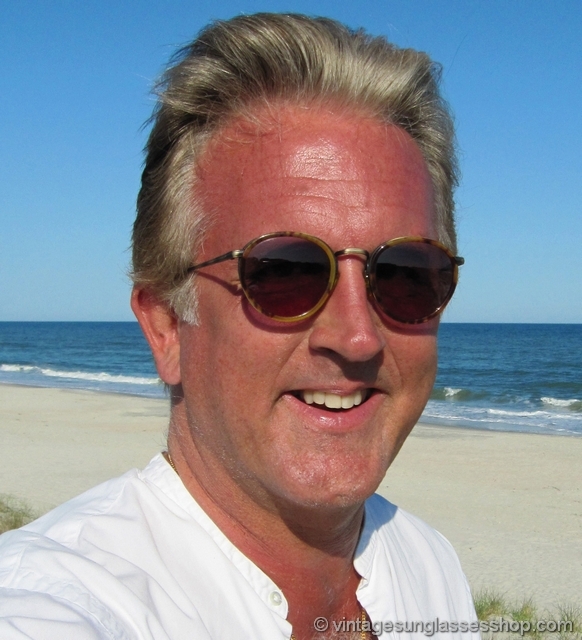 These are top of the line in the Giorgio Armani 101 sunglasses line, direct to you from a Dallas, Texas collection of fine vintage eyewear. 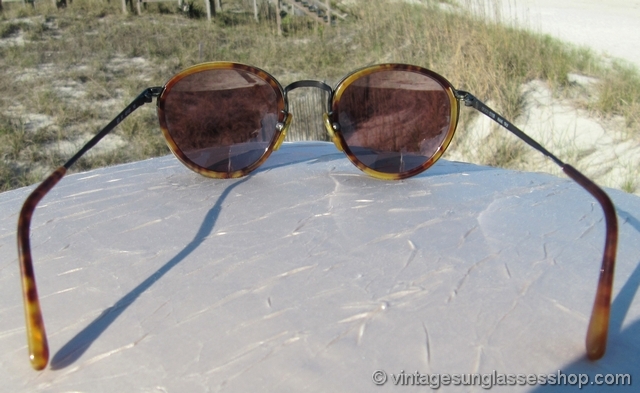 See identical Armani 101 741 yellow tortoise shell sunglasses with Armani brown mineral glass lenses here as well as our entire selection of vintage Armani 101 sunglasses.